Invited by PARK Maria Roosen (Oisterwijk 1957, lives and works in Arnhem) creates an installation of new and older works in the former Goretti chapel. This installation connects the PARK interior with the outside of the Wilhelminapark, but also the present with the past. The opening on Saturday, August 29 will be performed by Hendrik Driessen, director of Museum De Pont. Roosen's colorful work includes installations, sculptures and drawings in which the growth and production process is clearly recognizable. Her love for the material glass (occasionally combined with existing objects) provides surprising images that evoke associations with nature: the glass bulbs can be female breasts but also fruit. The use of color makes them soft in nature, despite the hardness of the material, the world literally is reflected in them. 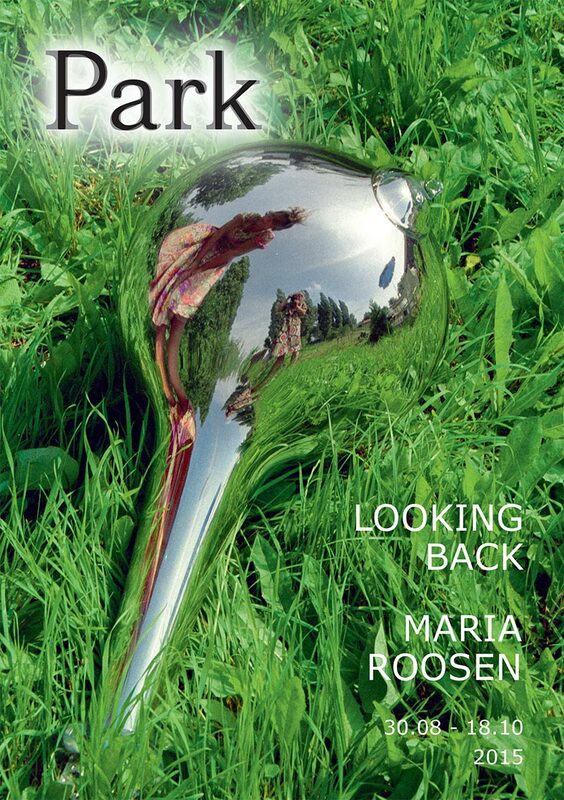 This solo by Maria Roosen has partially been made possible within the framework of the exhibition 'Lustwarande '15 - Rapture & Pain', organized by Fundament Foundation in park De Oude Warande in Tilburg, running simultaneously with the exhibition of Roosen in PARK. The opening reception of 'Lustwarande '15' will take place following the Park opening on Saturday, August 29 at 3:30 pm. Roosen already participated twice previously in exhibitions of Fundament Foundation. 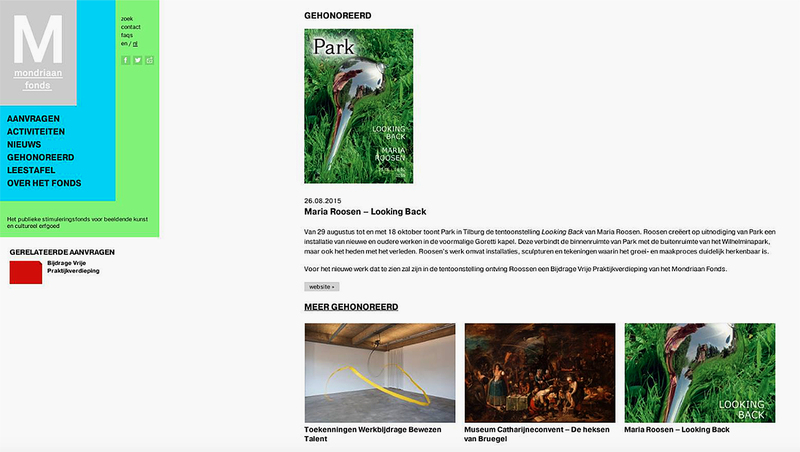 Maria Roosen’s project in PARK is supported by Mondriaan Fund and Victor Roosen Bijzondere Tuinen.